In the morning, a ferry will carry you from Puerto Natales to the Estancia Perales (Perales Ranch), with an optional visit to the Milodón Cave. Enjoy a delicious typical Patagonian mid-day meal at the estancia, before heading out in the afternoon for a horseback excursion to the waterfalls of the Tenerife River and around the bay of the Estancia Perales. Dinner and overnight at the estancia. 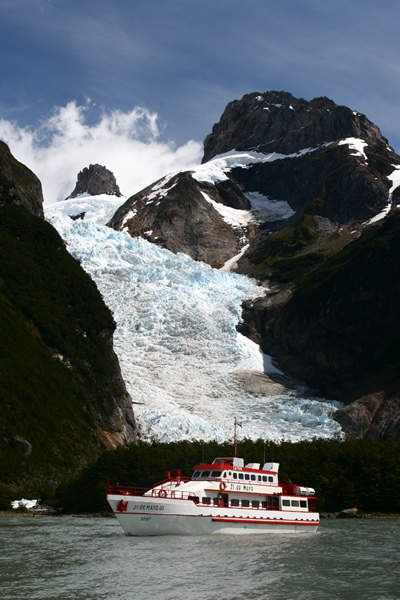 After breakfast, you will travel by boat to the nearby Balmaceda and Serrano glaciers. 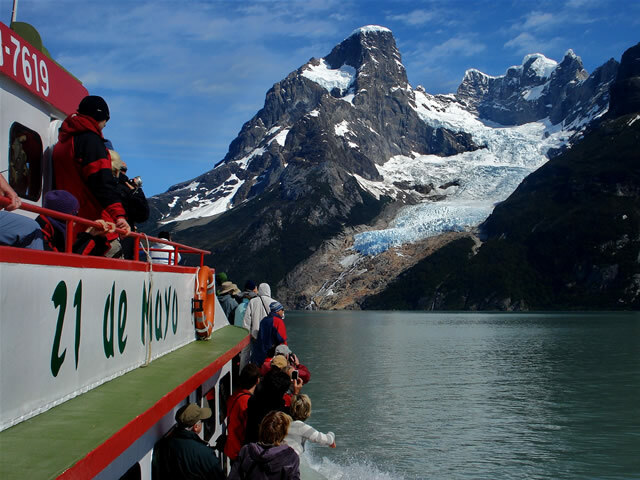 First, you will land and have the opportunity to approach these spectacular glaciers on foot; then, after lunch in the Hostería Monte Balmaceda, you will return to the glaciers – this time by sea, on Zodiac boats. Dinner and accommodation in Hostería Monte Balmaceda. The day begins with a hearty breakfast at the Hostería Monte Balmaceda, followed by a morning-long hike to explore the surrounding area’s flora and fauna. 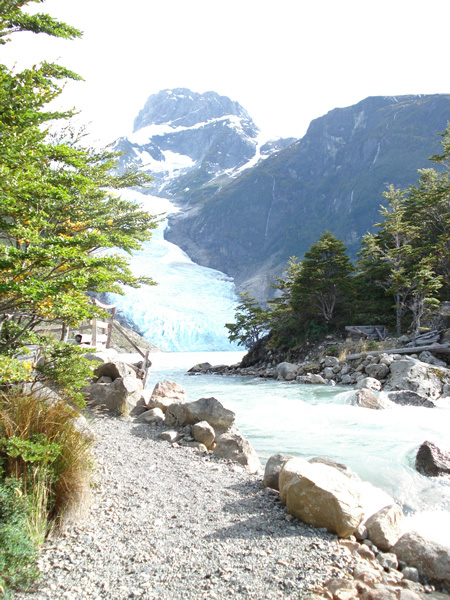 This route will include a stop at a lookout-point that provides a breathtaking vista of the nearby glacier and the Serrano River. A lunch buffet will help you regain your strength and energy for an afternoon boat trip on the Serrano River and a short walk, from the landing at camp Serrano, through Torres del Paine National Park. Evening return to Puerto Natales. Hiking boots, all weather gear, sunscreen.